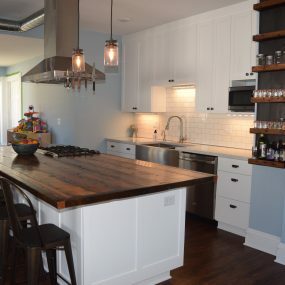 A couple in Lakeside loved their home, but did NOT like their kitchen. 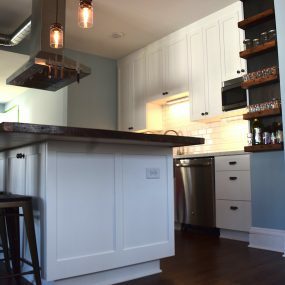 The closed off kitchen plan was not working with their growing family. 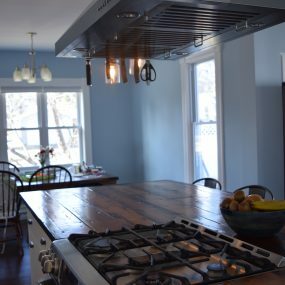 They wanted to have a more open feel so they could be cooking, eating and hanging out together. 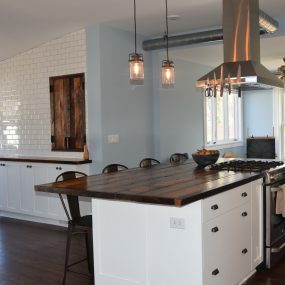 They spent many hours working with Andrew discussing every little detail to ensure that they got the look they were going for. 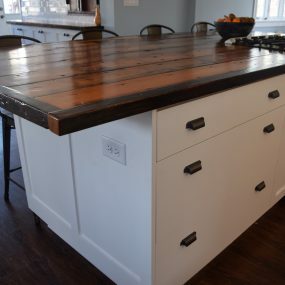 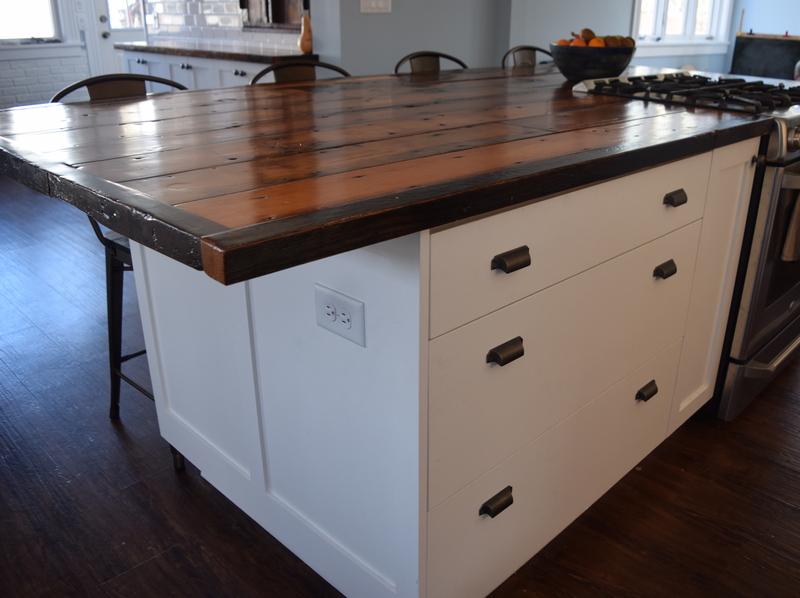 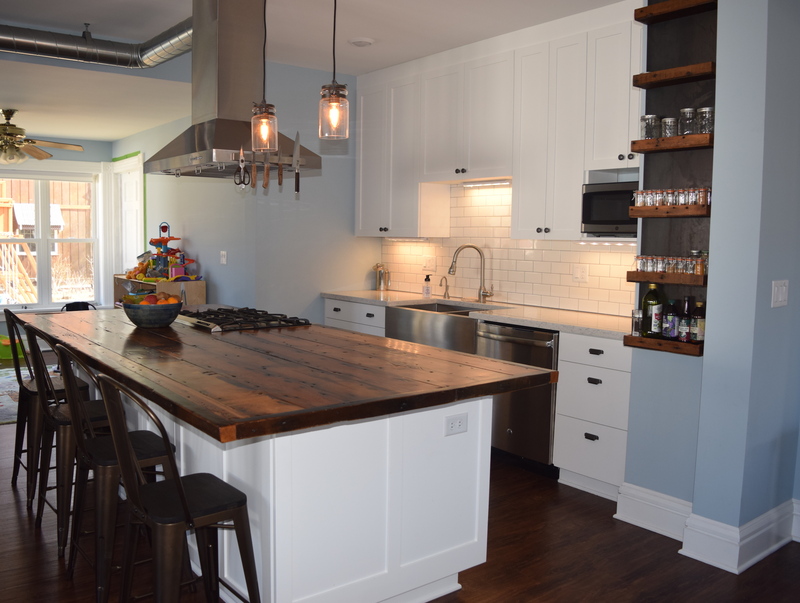 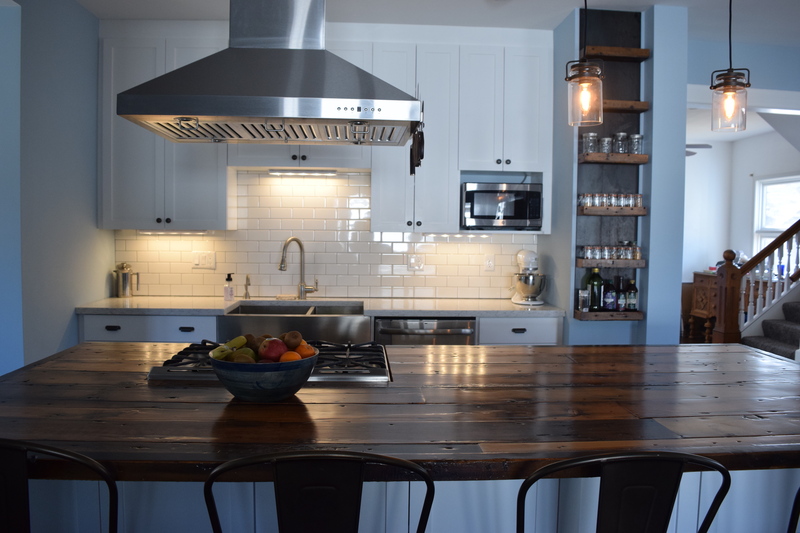 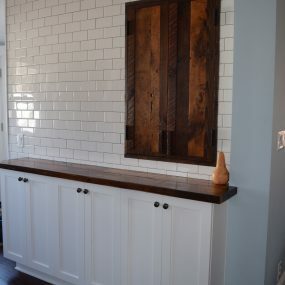 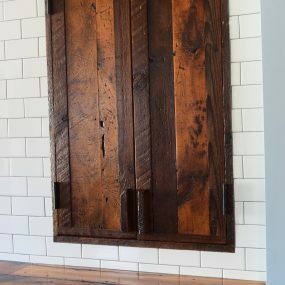 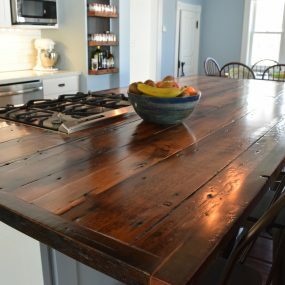 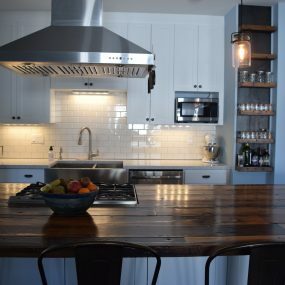 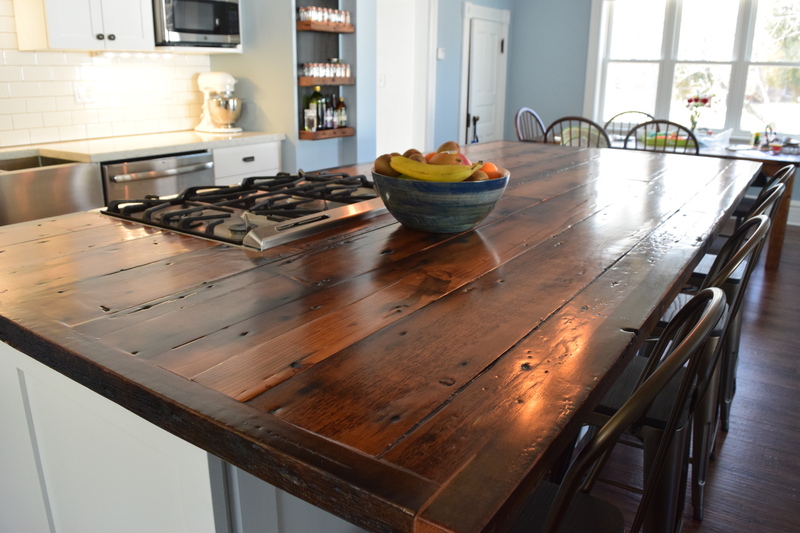 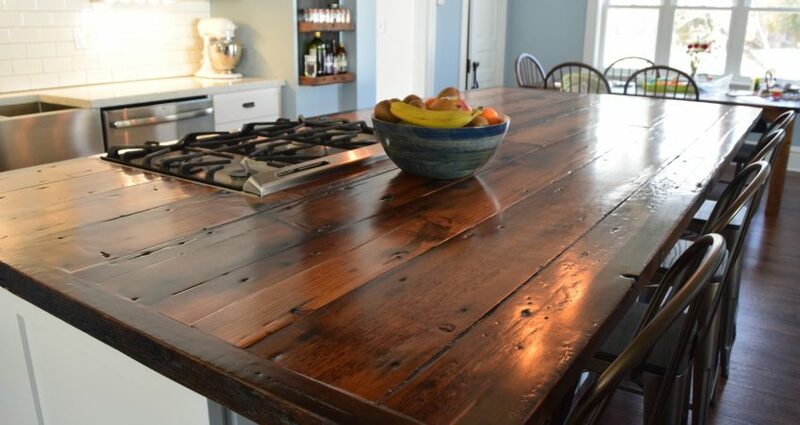 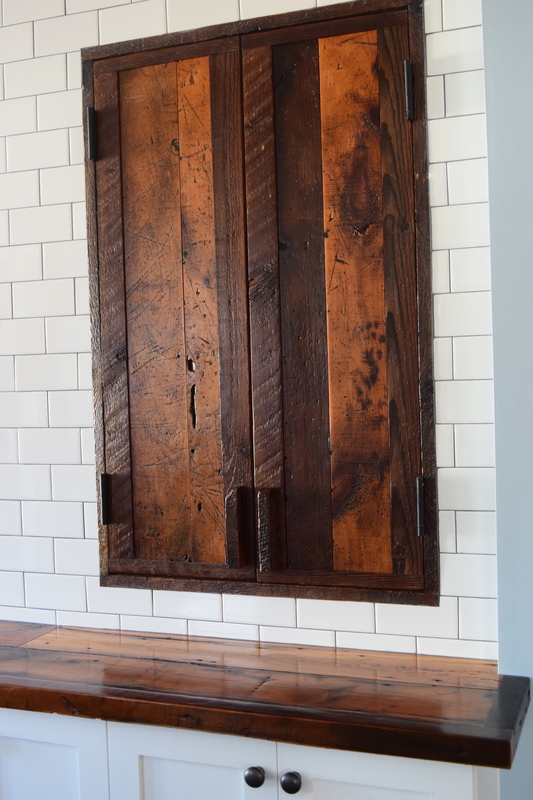 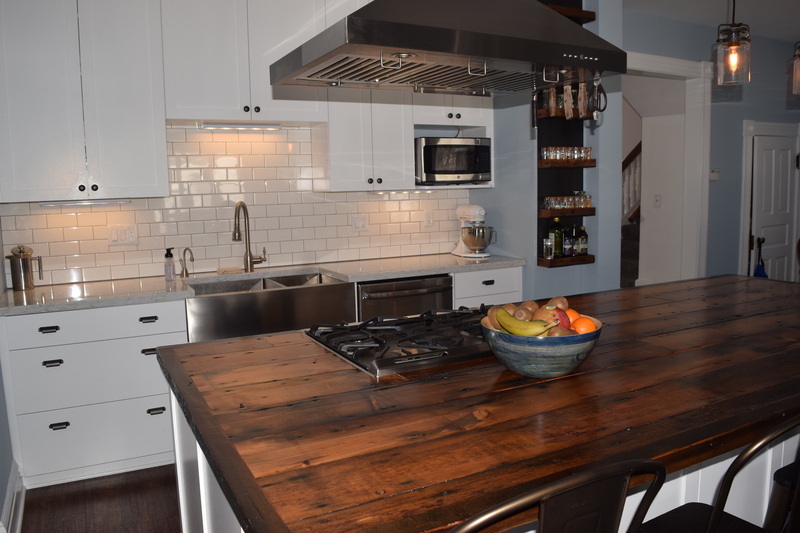 The kitchen island is a large piece of reclaimed wood finished to look like an art piece. 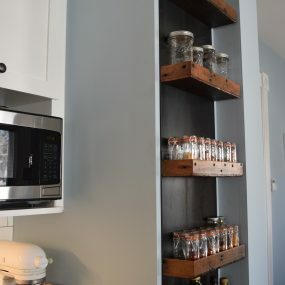 The same look and feel is extended to the side board and small side cupboard doors. 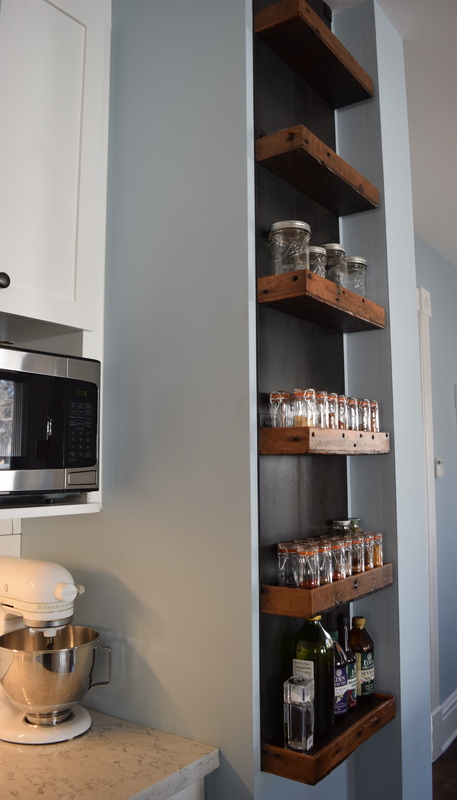 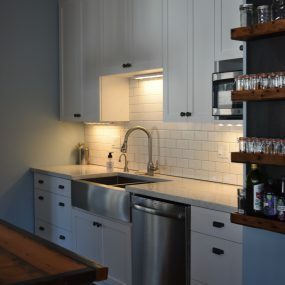 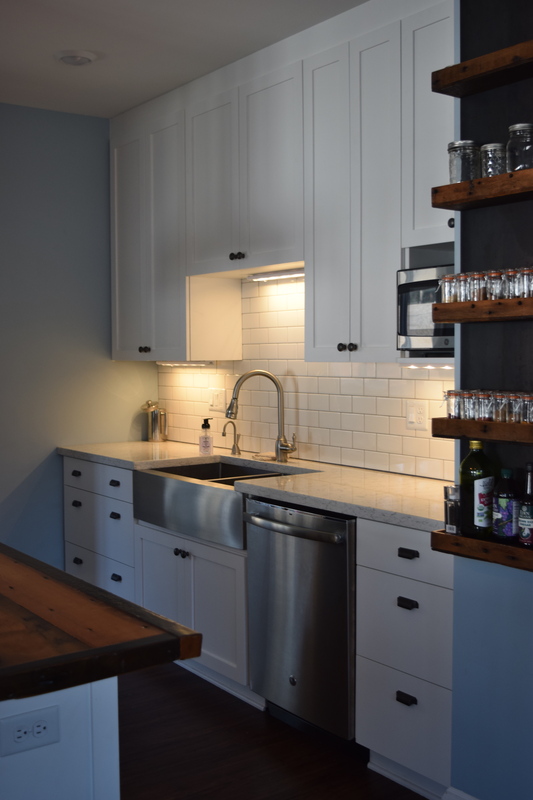 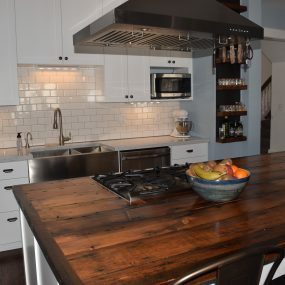 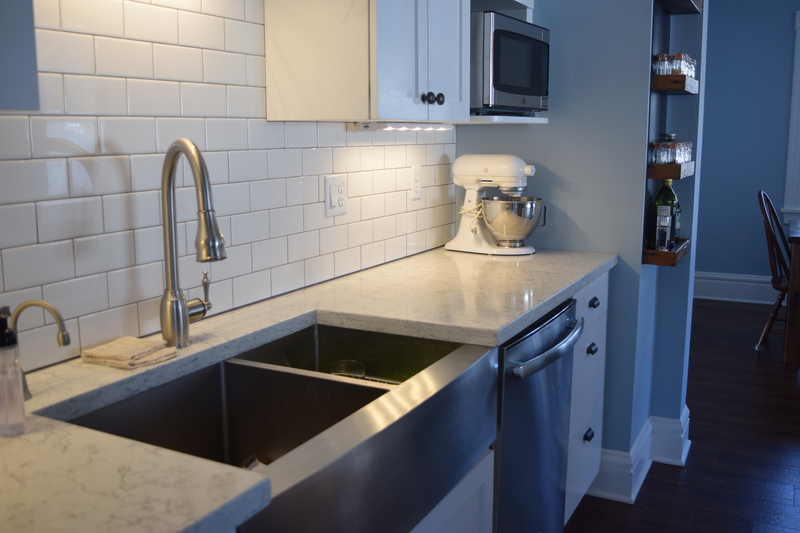 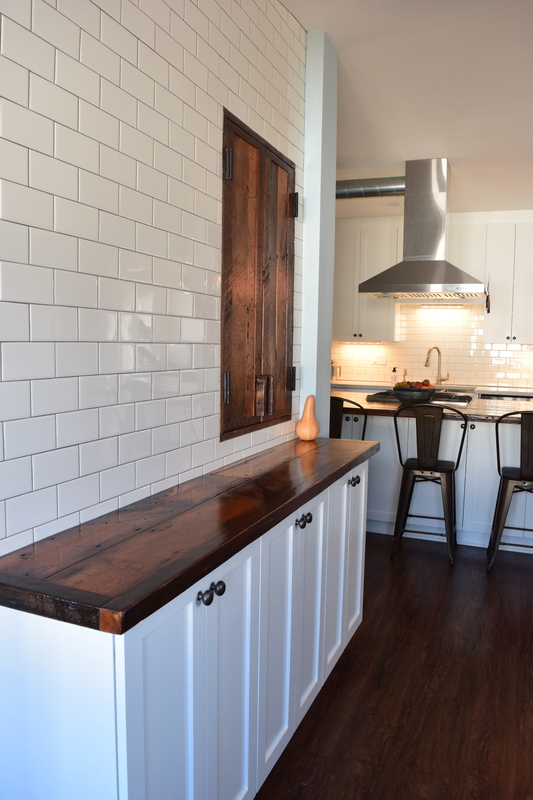 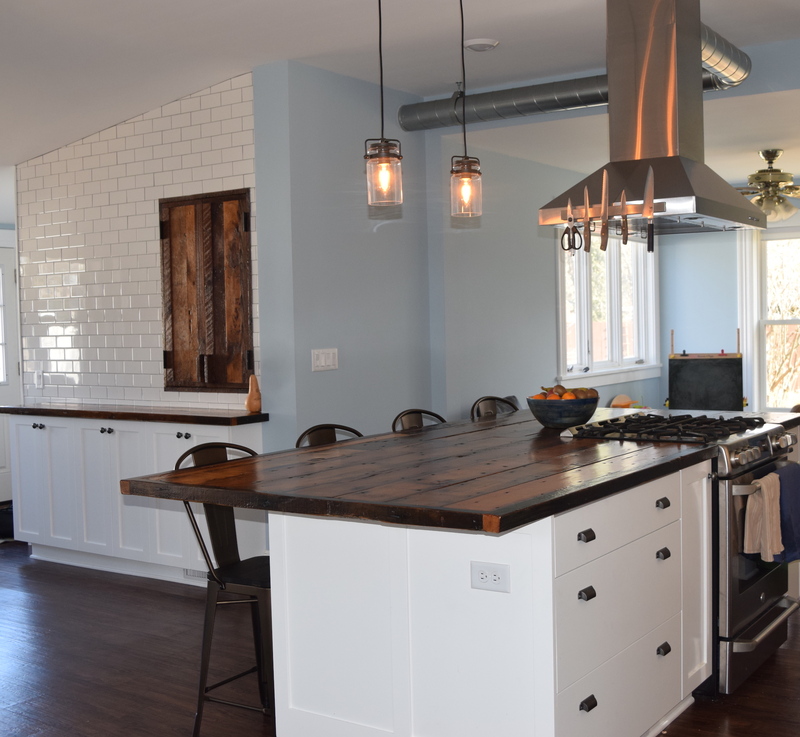 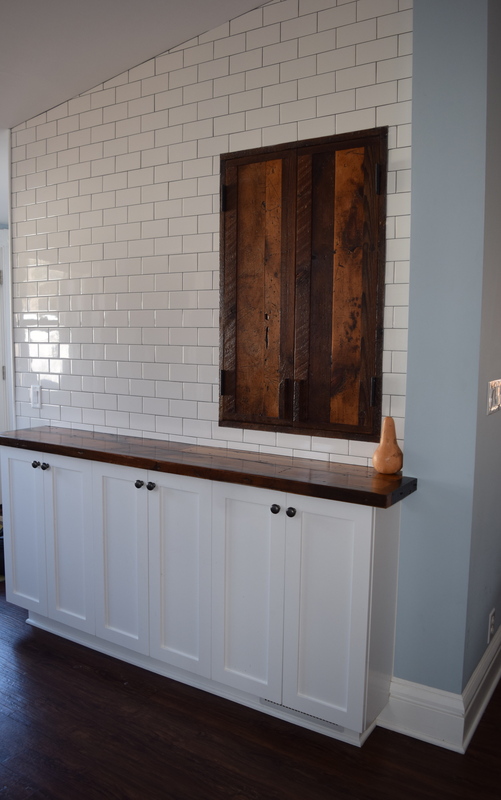 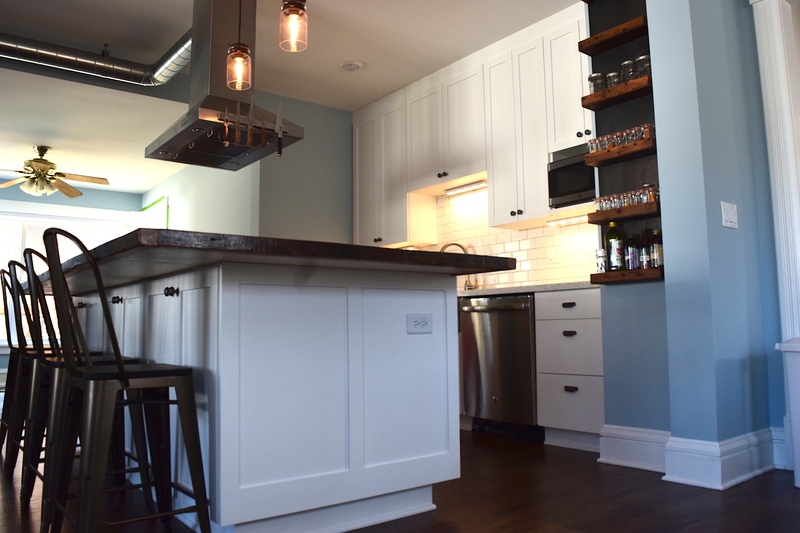 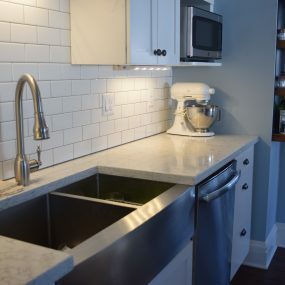 The white subway tile mixed with the reclaimed wood and the white cabinetry gives this kitchen the modern twist on an old traditional farmhouse feel they were looking for. 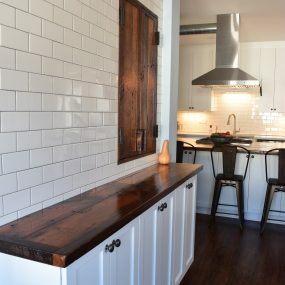 This kitchen needed to coordinate with both the dining room and sitting room it opens up into..which it does beautifully. 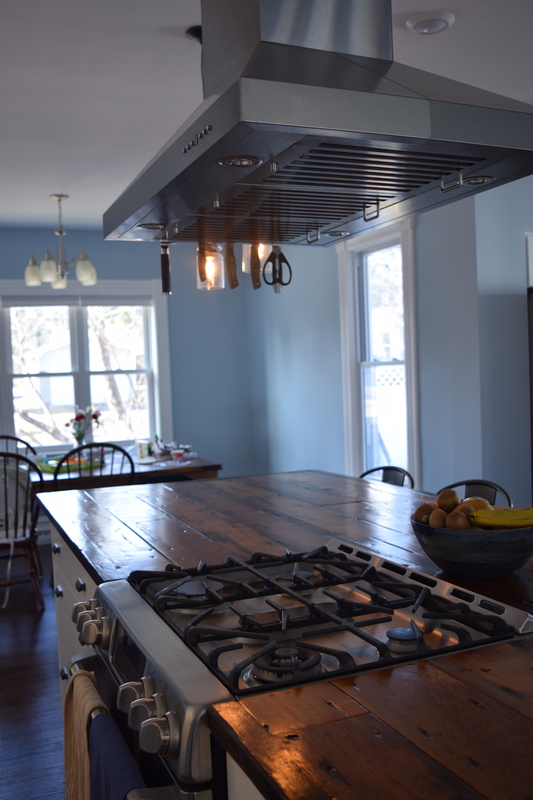 This needed to be a place where this family can, laugh, play, cook, bake, eat and enjoy each others company…at that is what it is.